I'm currently in a group show at Intermezzo Gallery in Comfort, Texas. The show, entitled HeART by Hand was curated by Artist in Residence Jeanette Macdougall. I'm happy to be included in such a wonderful group. 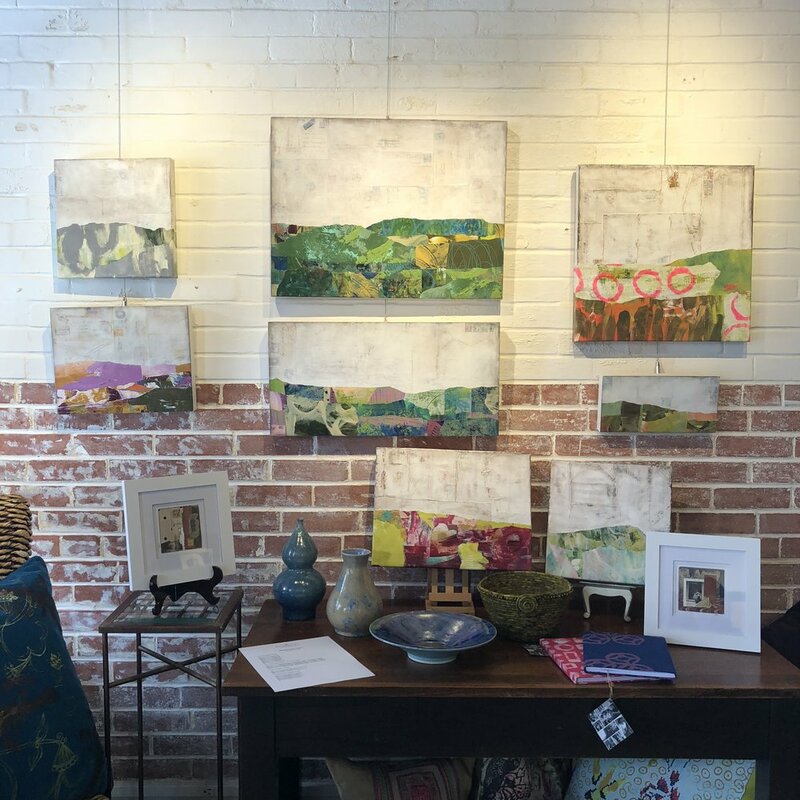 Join us for the artist reception this Saturday, April 14, 1-4pm. The show is up until May 6. 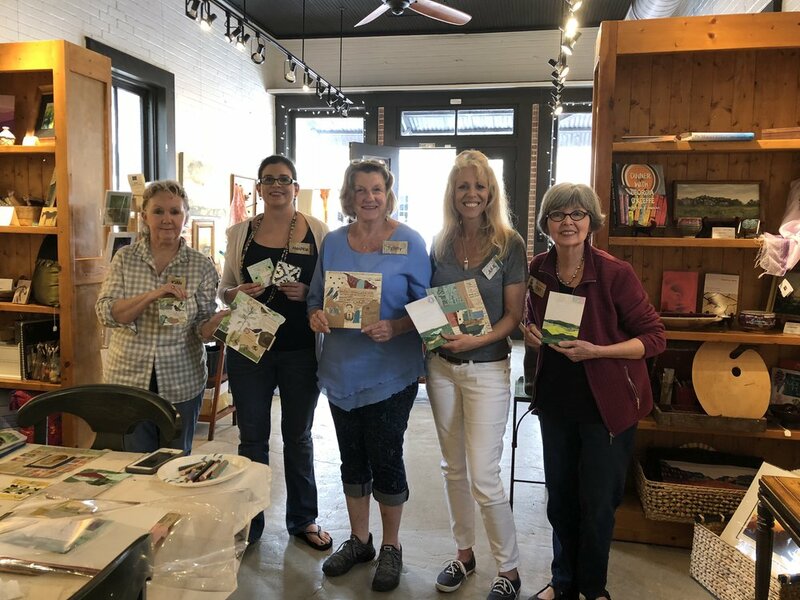 Earlier this month, I taught a basic collage workshop in the gallery and it was so much fun! We had a great time ripping and gluing. I emphasized the idea of loosening up, not overthinking it, and just going for it. If your collage doesn't work, tear it up and make a new one. I think the participants had fun and were excited about this way of working. They all made some great stuff. 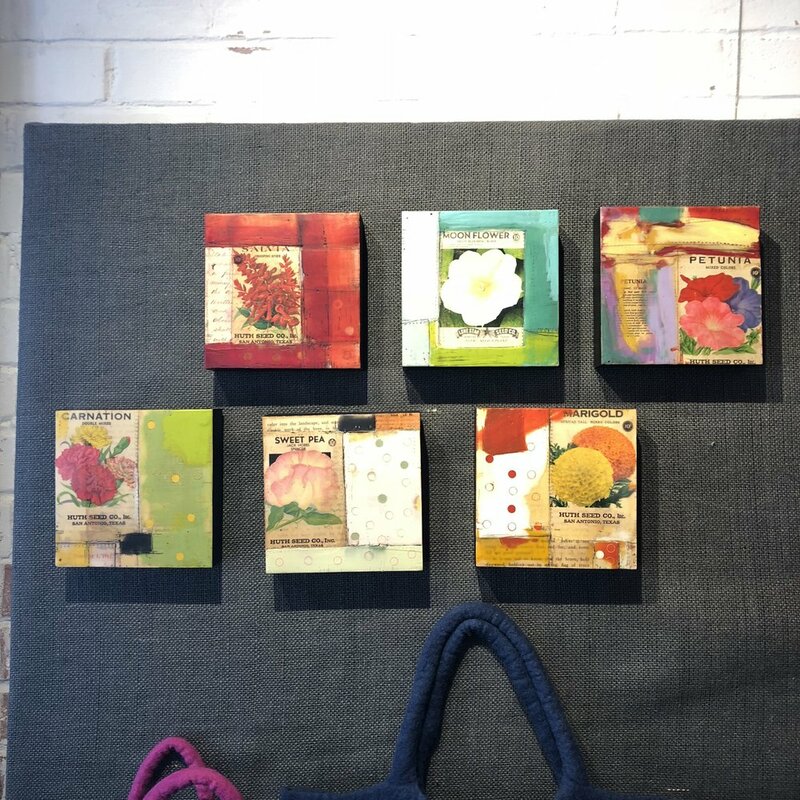 Here are some photos of my work up at Intermezzo and from the workshop.